If you are thinking about walking the Camino de Santiago in Easter, keep reading! 1 If you are thinking about walking the Camino de Santiago in Easter, keep reading! 1.1 Are you planning to walk the Camino de Santiago in Easter? Easter is coming, and this festivity can be considered as the beginning of the season on the Camino de Santiago. After the quiet winter months, pilgrims start to hit the road again. And this year, Easter is Galicia is from the 25th of March to the 1st of April. Are you planning to walk the Camino de Santiago in Easter? If you are planning to walk the Camino de Santiago during the Holy Week, in this post you will discover some of the most popular spots along the way. Processions, traditions, celebrations… the Camino de Santiago has so many different routes, that there are different kind of festivities. 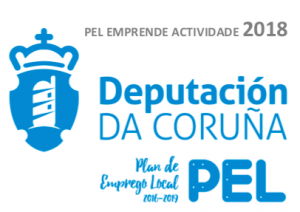 Let’s discover a bit more about the ones taking place in Galicia region. The Holy Week in Ferrol is the popular of Galicia region, a Festival of International Tourist Interest. From the first day Palm Sunday to Easter Sunday, the city hosts more than 26 processions throughout its streets. The city welcomes visitors from all over the world, who travel to Ferrol to see the worshippers and the parades. The most popular ones: Maundy Thursday and Good Friday. If you plan to walk the English Way during these week, we strongly recommend you to book in advance, as accommodation could be an issue. The Festival of the Holy Christ in Finisterre, takes place on Easter Sunday, on the road towards the lighthouse. It commemorates the Passion of Christ, represented by town locals. This religious play represents the moment in front of the tomb of Jesus Christ, when the Roman soldiers were guarding it. And an angel brought the news of the resurrection. All the emotions of joy and happiness are represented on this play, that ends with the “Dance of Our Lady of Areas” (a traditional dance from the 17th century). The Portuguese Way of the Camino de Santiago has an alternative route, from Pontevedra to Padrón, known as the “Spiritual Variant” (or “Variante Espiritual” in Spanish). Paradela is a small village in Meis (right on this Camino de Santiago route), very popular in the area because of its Holy Week celebrations. The most popular one: the re-enactment of the Passion, Death and Resurrection of Christ, that takes place in the chapel. Even though Paradela is a very small village, all the details of this play are very conscientious: from the costumes, the performance, the setting… we strongly recommend to discover it if you are around! Modoñedo is one of the most popular stops of the Northern Way (or Camino del Norte). It used to be one of the capitals of the Kingdom of Galicia, and its cathedral is impressive. There are a couple of singularities about the Holy Week in Modoñedo. One of them, is the procession taking place in Good Friday, just for women (known as the Procession of Solitude, or “Procesión de la Soledad”). The traditional song played during this procession, is the “Plorans”, written by Mestre Pacheco. This song can only be played in Mondoñedo, and at the Royal Chapel in Madrid! Do you have any questions about walking the Camino de Santiago in Easter? Please do not hesitate to contact us! A member of the team will get back to you in less than 24 hours!